Do you want to Make any android smartphone look like Fuchsia Os ? And want to get Google Fuchsia os ui on your android smartphone ? If yes then you are at right Place . Fuchsia OS is getting a lot of attention by Peoples. 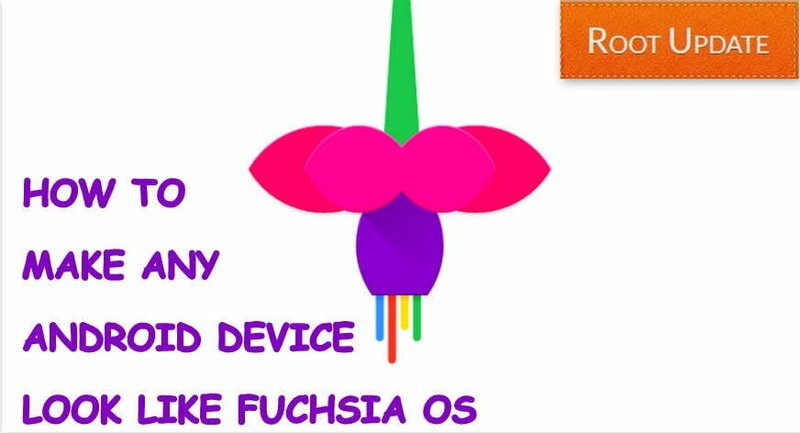 Fuchsia OS, in case you don’t yet know, is a New Operating System from Google for Modern Smartphones and even Desktop PC. A few days back the UI video showing the User Interface of Fuchsia OS landed on the Internet and got popular. Since then People are willing to get that UI on their Smartphones. You wish, we fulfill, so here we are with a Guide which will help you get the Same UI on your Android Device. This will give you an experience of what Fuchsia OS will look like. Now if you want to get the UI of Fuchsia OS before anyone else on your Android Device, do follow all the Steps carefully. Download the Fuchsia OS UI APk file from the button below. Wait for the download process to complete, it may take few minutes depending upon your Internet Speed. Go to your File Manager, Downloads, the tap on the apk file you just downloaded. Now you can explore the Google’s new Fuchsia OS UI using this app. As the app is at the early stage of development so, you may face some issues in the app like crashes or force stops. But this is because of the early stage of development, the App will get stable from time to time. So that’s just about it guys. That was our post on How to make any Android Smartphone look like Fuchsia OS. Hope you guys find the Post helpful. in case you guys have any questions or suggestions, leave them in the comments section below.